Sow Juice: Support us with edible credits. Join the Sow Edible Credits Society: pre-pay for juicy goodies and help us cover the costs of starting inventory for our first permanent retail location opening this Fall! 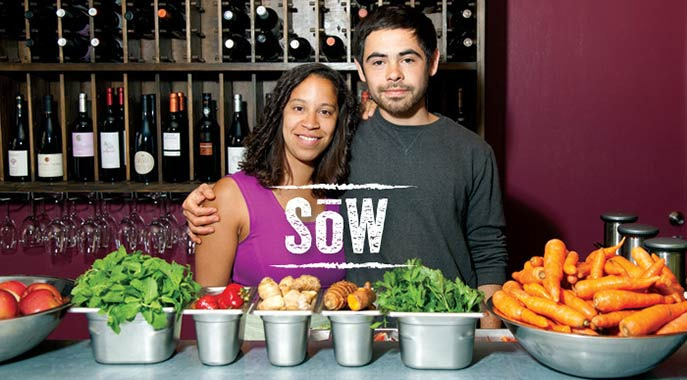 Sow Juice was created by two former coffee aficionados out of a desire to showcase the beauty and breadth of California grown produce. Luisa and Derek believe that juice deserves the same care and attention to sourcing, freshness and presentation as any other culinary offering. You will only find the most palate-pleasing of in-season California sown seeds come to fruition on our menu, made fresh to order and served with pride. In exchange, we promise to deliver you the freshest, most delicious and sustainably sourced juice in San Francisco 7 days a week!